1. 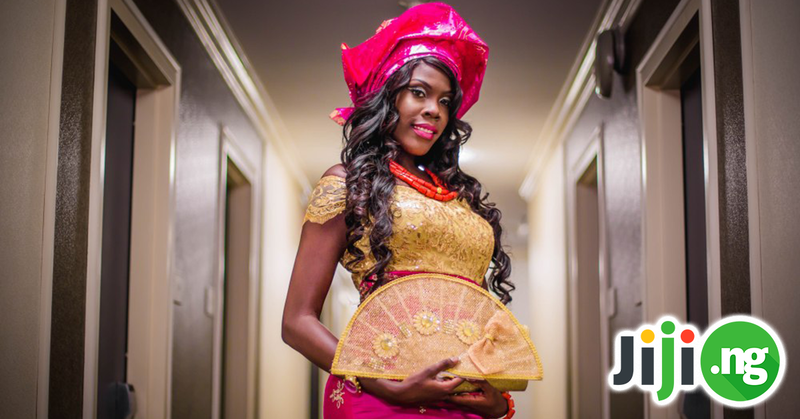 African attire for couples: will you dare? Fashion is one of the best ways, which couples can use for demonstrating the sharing of happiness – and this is the easiest and most pleasant way for sure! Modern Ankara styles for couples are the perfect idea for both of you to express your feels, special character traits and the similarity of taste. Of course, there are some rules for dressing in similar outfits, but in fact, Ankara designs for couples of 2018 are so diverse, elegant and vivid that you can choose nearly whatever you want and you won’t be mistaken! By the way, there are some ready-made designs for him and her to pick up easily and perfectly match each other. Check out these top latest Ankara styles for couples – find ideas for your inspiration! Buy Ankara clothes on Jiji – get the best products in the country at the most reasonable prices! Some of the couples are ready to put on the similar (or even the same) outfits just for the traditional wedding party. However, as for Ankara, wearing the similar designs to different occasions is a cool idea and it looks absolutely normal. Most guys may feel that wearing similar attire with their girlfriend makes them look less free, especially if they are not in serious relationships yet. But, believe us – that has nothing to do with your freedom! Vice versa – you can show off your freedom wearing the same designs with your lady! If you are married & engaged, it is a great pleasure to have some similarities in a dressing style, and there are more than a lot of Ankara for couples styles, that will bring the concept to life! Keep in mind that couples that dress together slay together! Check out the widest choice of Ankara accessories on Jiji – we bet you have never seen such high-quality products for THAT low prices! Flaunting Ankara styles for 2018 are waiting for you to rock, giving you a wonderful opportunity to create couple African designs in a way you like it! The designers’ ideas are ripe with all these colorful textures, extraordinary cuts, geometric designs and original prints! Take a good look at this color combo and pay attention to the tone it creates when combined with white! The alliance of these two colors creates a wonderful visual portrait of style. The man’s hat perfectly suits the lady’s dress tone! This lady’s dress is just breathtaking, isn’t it? It is simple but yet elegant, and every detail of the man’s attire perfectly matches the lady’s outfit. Green and Orange is the new stylish couple – and it is definitely one of the top African wear designs for couples! Take a close look at the color combination and the way these two people are posing! Black shoes and heels also perfectly match each other. This eye-catching duo makes you feel that white color was created for the perfect combination with Ankara! These Kente inspired attires look perfect – just like this happy couple! You can never go wrong in style with a Dashiki – and here’s a proof! Hi All, In this Video you’ll find Mother and Daughter Matching African Outfits. The scriptures at the end of each video will surely encourage you. Feel free to subscribe to this channel. Install free updated Jiji app now to shop on Jiji like a winner!